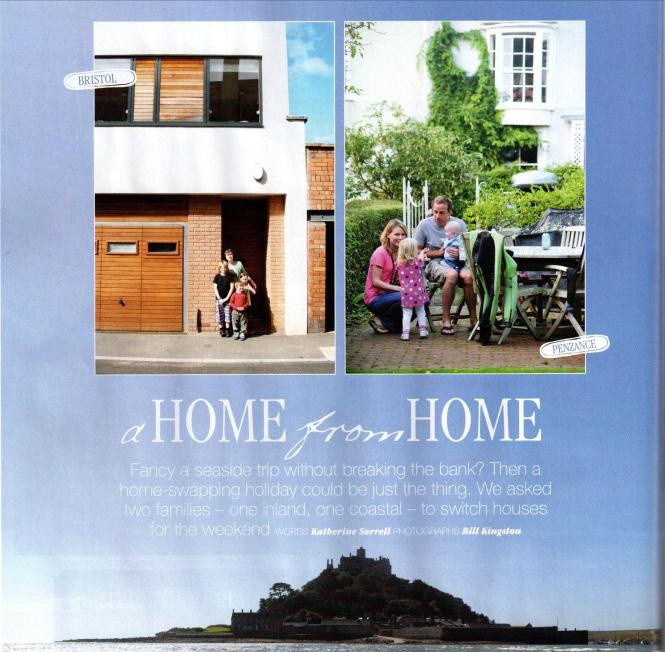 Carolyn and her family swapped their home in Bristol for a long weekend with Katherine and her family in Penzance, Cornwall, United Kingdom. "We really loved Katherine and Martin's house - it was warm and welcoming, full of art and craft, a real family home. If we'd stayed in a typical self-catering place, I don't think it would have such a high standard, and you wouldn't get the personal touches that make it so nice," Carolyn said. Many home swappers find that the home is even more spectacular than the photos online led them to believe. "When we got to Bristol, we were bowled over by their house - it felt very spacious and modern, and certainly lived up to the 'luxe' tag," Katherine said. Carolyn's home can be viewed by clicking here. Check out the full article in the March 2012 issue of Coast Magazine.